PRICED WAY BELOW current appraisal. Welcome to PRIME PEACH Country! This one of a kind property is as sweet as they come. PRIME location, centrally located to just about everything making it ideal! 30 minutes from Aiken & Augusta, easy access to Columbia and ATL, & minutes to quaint Edgefield & its shops, this location cannot be beat. 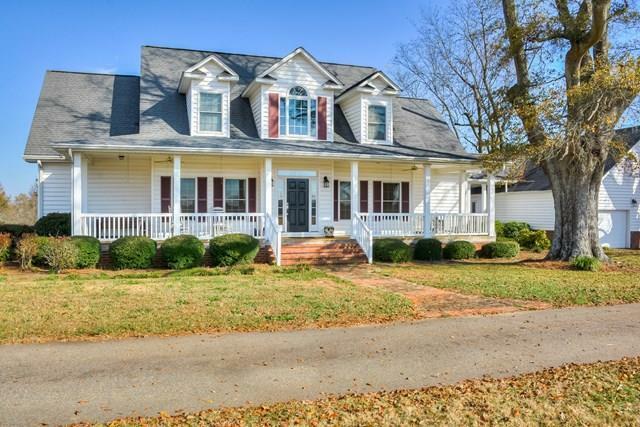 Gentleman's farm: 10 room custom home w/wide heart pine floors, 2 guest rooms, guest bath, bonus room & landing overlooking the GREAT ROOM with vaulted ceilings & stone fireplace. The 3-season room over looking the tranquil yard & pond viewill take your breath away. First floor master includes his/her closets, master bath & views of the pond. Fully applianced fabulous kitchen, pantry, center island & dining room. Floor plan makes it PERFECT for entertaining. There is more, including laundry room, summer kitchen, OVERSIZED 3 car garage. OUT BUILDINGS included & Additional acreage $5500 per ac. Welcome to Henry Lane, Welcome Home! Listing provided courtesy of Fabulous Aiken Homes Team of Keller Williams Columbia.